We are a non profit Shelter in Leflore County MS. We accept all donations small and large to help our babies find fur-ever homes. Thank you for your interest in one of our homeless pets! Many of our animals came from less than ideal circumstances and therefore we want only the best for them in their new homes. Our adoption process is thorough. Your answers will be reviewed and your vet and personal references will be contacted. We will contact you by phone as quickly as we can, but remember we deal with a high volume of calls and applications. 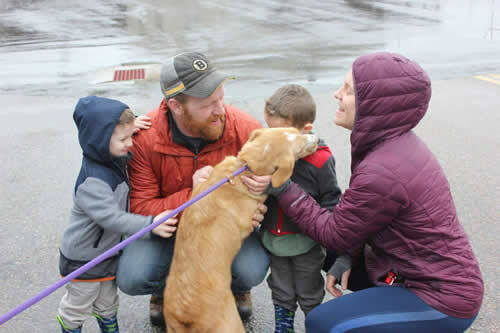 Volunteers are desperately needed to help clean and to walk and socialize the dogs. They really do love to get out and walk and it helps them stay healthy, too. They are happy to let you know how much they appreciate the attention! And it is good exercise for us. So, give us a call at the shelter Monday through Friday 1:00p-5:00p and she will be happy to sign you up! 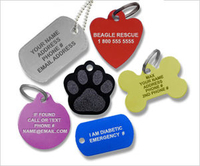 If there’s one piece of equipment that’s an absolute necessity for your dog or cat, it’s a pet identification (ID) tag. We each fervently hope that our dog or cat will never make a break for it at the front door or slip his leash, but if that happens, an ID tag is one of the surest ways to get him home safely. CLICK HERE to buy your ID Tag. Copyright © 2019. Leflore County Humane Society. Website, Website Maintenance and Hosting Donated by Web-tactics, inc.